In an area boasting a heritage of unmistakable flavours, history and tradition, the region of Friuli-Venezia Giulia is renowned throughout the world for its vineyards. In terms of terroir, the most important influence on its vineyards is its position between the Alps and the Adriatic. The Colmello di Grotta estate is a perfect example of this eclectic mix, and a must-visit destination for those who want to learn more about Italy’s winemaking culture. It was restored in 1965, following the Bennati family’s decision to renovate an old, abandoned hamlet to its former splendour. 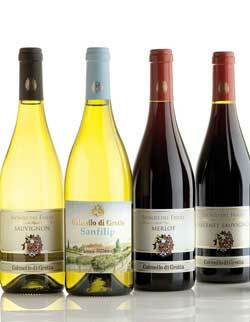 Its 21 hectares of vineyards are at an altitude of between 40 and 80 meters above sea level, and all face south. The vines are divided equally between the DOC Collio and Isonzo appellations, which are planted at a short distances one from each other, but are placed in completely different soil types resulting in the fascinating, feminine Isonzo wines and the powerful, masculine ones from Collio. 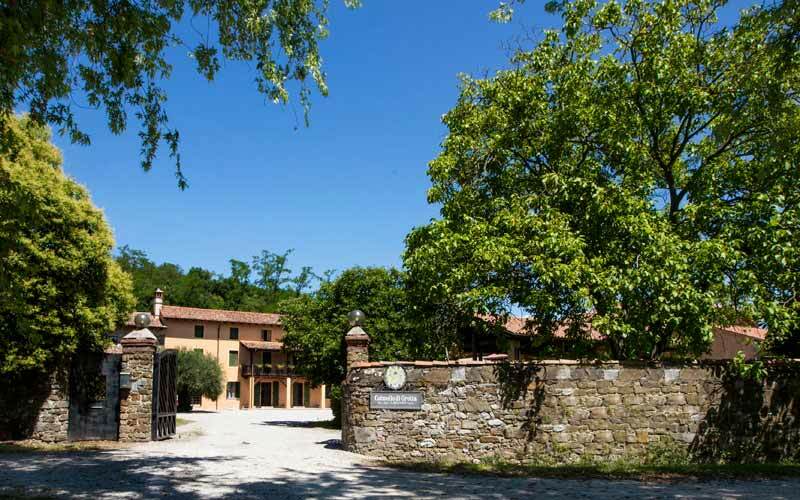 TIP | The estate, approximately located 130 km from Venice, offers wine tasting experiences for groups of up to a maximum of 20 people (booking required). Francesca Bortolotto (President and CEO of the Bauer Hotel Group in Venice, a historic reference point amongst the luxury hotels on the Lagoon) is the brain, heart and soul of the magnificent Colmello di Grotta wine estate. Ms. Bortolotto runs the estate with verve and passion producing some of Italy’s finest vintages, creating the perfect souvenir for lovers of DOC sparkling wines.